Our tried-and-true duffel has reached its third evolution—and it just keeps getting better. 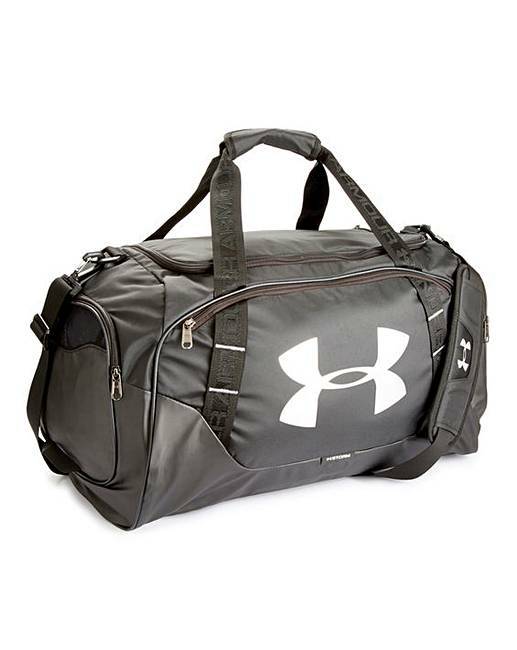 Marked with the classic oversized UA logo and built with incredibly durable materials, this is your go-to duffel bag for everyday performance. 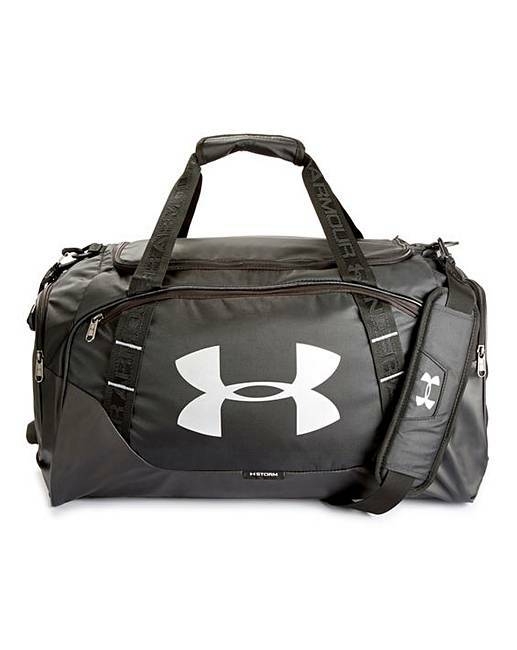 This bag features UA Storm technology and delivers an element-battling, highly water-resistant finish. It has tough, abrasion-resistant bottom and side panels, large front zip organisation pocket, and an adjustable, padded HeatGear® shoulder strap for total comfort. Also comes with padded top grab handle, large vented pocket for laundry or shoes, one mesh pocket and an additional large zip pocket for organisation. H.35 x W.74 x L.30cm.